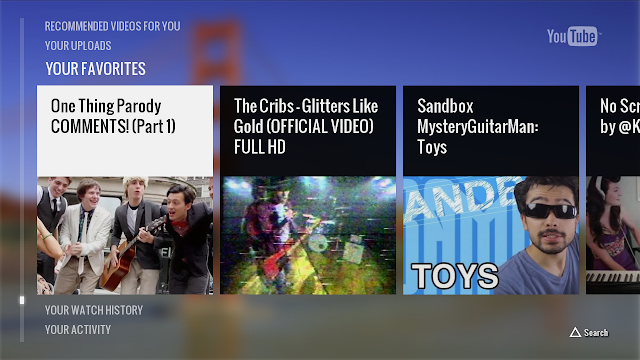 Today, Sony and YouTube announced the YouTube app for the PlayStation 3. It's a beautiful, immersive experience designed for the PS3 platform. And the amazing part is that it is built with AngularJS. If you have a PS3, you can check it out in the PlayStation Store. Otherwise, this is a perfect excuse to buy one and see what AngularJS is capable of. We've invited the YouTube developers to present at a future AngularJS meetup and share their development experiences with you. Until then, enjoy the app!